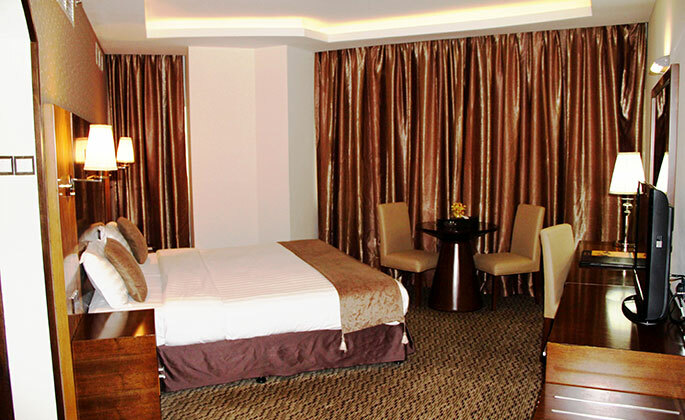 The Fortune Plaza Hotel, Dubai’s premiere boutique hotel offers luxury accommodation to the discerning travelers, with myriad of service and guest amenities to ensure an exquisite stay. 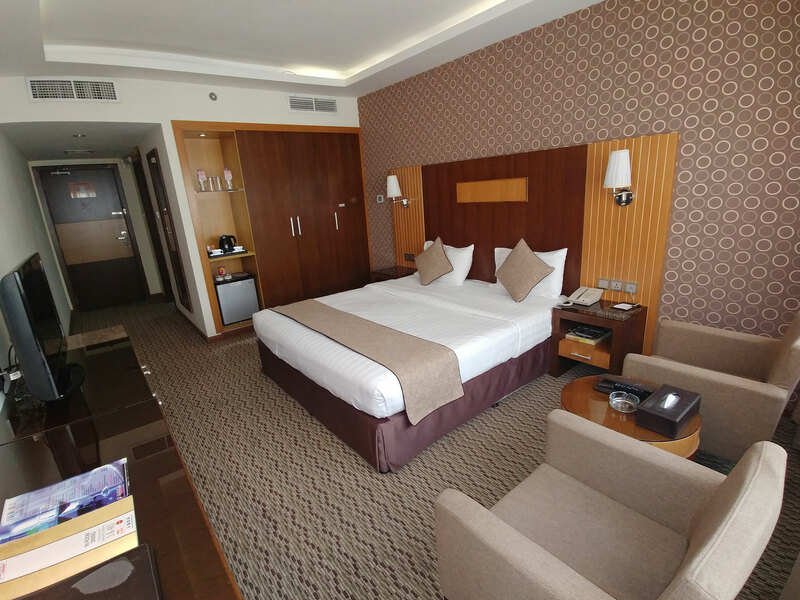 Location of the hotel is just few minutes away from int’l Airport, Dubai Expo, Al Mulla Shopping Complex and Mamzar Beach. 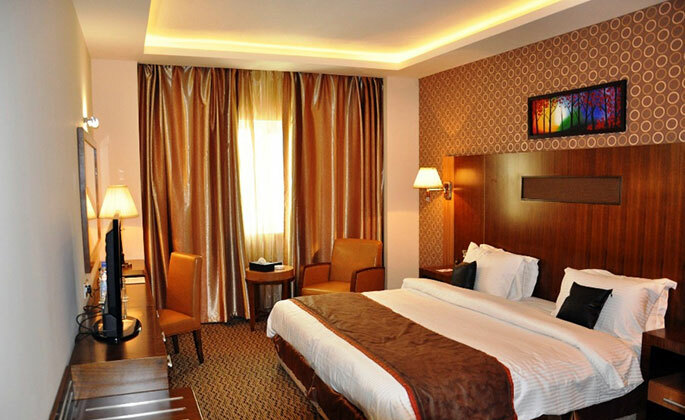 The hotel has 90 tastefully designed rooms including junior & executive suites, facility in all rooms including mini bar, personal safety box, IDD telephone, Wide screen satellite television, iron and ironing board, same day laundry service and round the clock room service. Visitors are continuously impressed with the vast selection of outlets on offer at Fortune Plaza Hotel, where quality & excellence are always at the forefront. Whether it is an international cuisine, a light snack, afternoon tea or evening spirits and cigars, Fortune Plaza Hotel and its Outlets offer an ideal setting for all your dining & meeting experiences in the Dubai. Renowned English haute cuisine is brought in style to the Middle East and served complete delicious dishes. Featuring fresh seafood, all dishes at Freddy’s Bar are prepared by expert chefs and inspired by the culinary skills of Continental food. 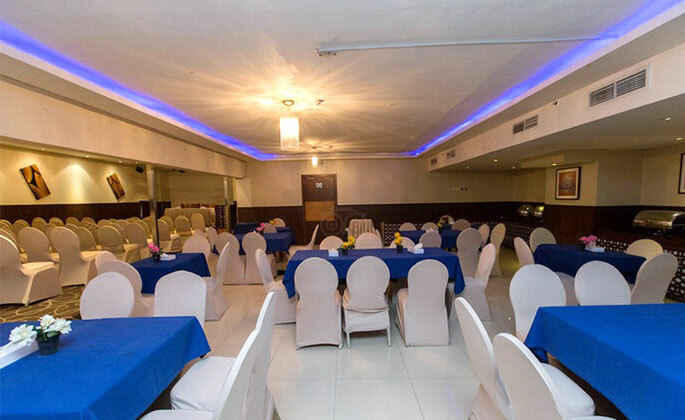 The setting is both intimate and elegant and provides the perfect background for any special occasion. 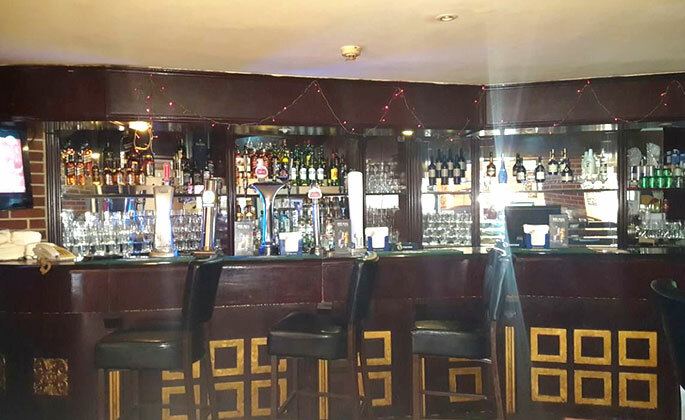 The restaurant offers both an international buffet with a good range of starters, salads, main courses and desserts, plus an a la carte menu. The Fortune Café & Lounge is perfectly located as a place for a pause, in the relaxing and sophisticated atmosphere of the Hotel lobby. This neo-classical lounge offers a wide-ranging menu of fresh coffee, a wide selection of beverages, light meals or delicious sandwiches from around the world. Take advantage of this perfect meeting point to share morning coffee or tea as a refreshing pause. Dubai’s top South Indian Restaurant now has a second home at Fortune Plaza Hotel, Al Qusais. 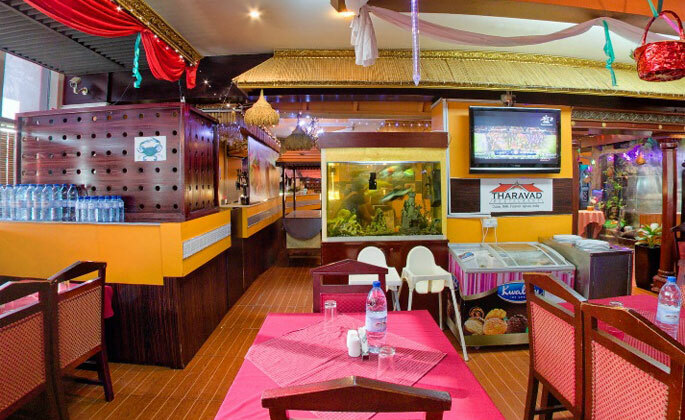 Set in an authentic ambience reminiscent of the land of Kerala Cuisines, our Tharavad restaurant in Dubai brings you the most lavish selection of the most popular Dishes. It is South Indian Cooking in a new dimension. 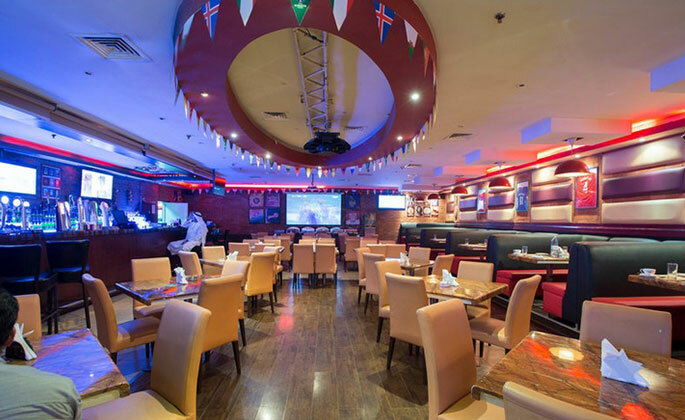 The oldest and the most famous English pub in Dubai offer you a dazzling choice of wines, cocktails and international light cuisine in an utterly memorable location. With a dynamic blend of jazz music, service and quality dishes, a colorful ambience is created for those who want to live it up. Operating Hours:12:00 hrs to 16:00 & 18:00 hrs to 02:00 hrs. In-Shape has helped thousands of people look and feel better across the UAE and the In-Shape fitness center at the Fortune Plaza Hotel is no exception. 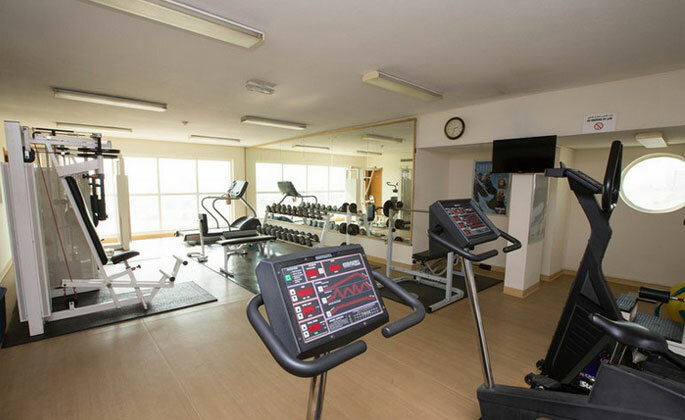 With state-of-the-art gymnasium, Rooftop Swimming Pool & Sauna you have more than one reason to get fit and stay fit. Exclusive pool bar and panoramic Dubai City View for VIPs to relax during a pause in their schedules, with light meals, snacks and Alcoholic beverages and soft drinks. Operating Hours: 09:00 hrs to 21:00 hrs. For guests in town on business, Fortune Plaza function room offers an adequate venue for conferences, seminars and social receptions. 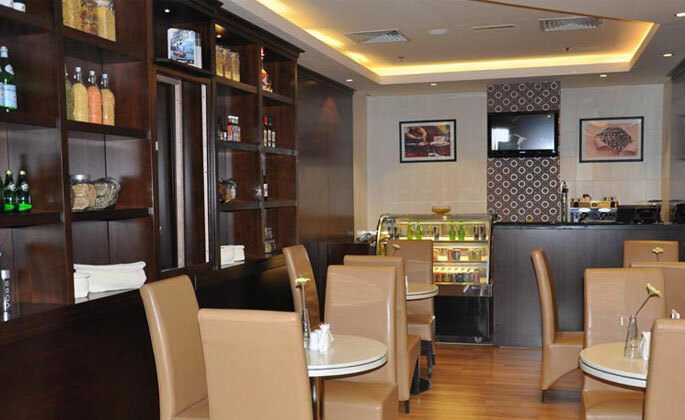 he Business Centre located in lobby level provides high speed wireless internet access, and other secretarial services. Al Qusais or Al Gusais (Arabic: اﻟﻘﺼﻴﺺ ‎‎) is a large community in Dubai, United Arab Emirates (UAE). 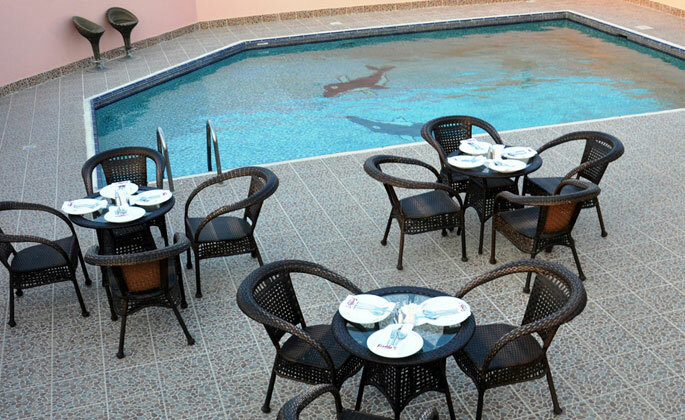 It is located in the Deira area of east Dubai. Al Qusais borders the localities of Hor Al Anz and Al Twar and is further subdivided into residential (Al Qusais) and industrial (Al Qusais Industrial Area) localities. Al Qusais houses several small and large supermarkets and department stores. Al Mulla plaza is the first large shopping centre in Al Qusais and one of the oldest shopping centre in Dubai. It is an important landmark in the city. The Dubai Police Museum is located at Al Mulla Plaza which opened on November 19, 1987. It comprises three exhibit halls, as well as documenting anti-drug efforts of the police force, and the force’s prison systems. On November 19, 1987, the International Council of Museums placed the museum on the record of Arab Museums. The Madina Mall is a large shopping mall. Some leading retailers are Carrefour, Red tag, Lulu Hypermarket is a vast shopping choice of fashion apparels, electronics, home furnishing, toys and accessories. From Dubai Airport T 2. Take right from the exit of the airport and left from the next traffic signal while passing the next traffic signal straight you will see fortune Plaza at your right hand side just after crossing the signal. From Shaikh Mohammad Bin Zayed Road take exit # 60 on the way towards Sharjah. Pass the signal straight and take the bridge. Take right in the next traffic signal and you will see Fortune Plaza Hotel at your right hand side. The check- in for all the guest is 14:00 hrs and check-out time is at 12:00 noon. Early check- in is subject to availability upon arrival at the Hotel. Late check- out charges of up to ½ day will apply until 19:00 hrs. After 19:00 hrs full day charges will apply. Late check-out will be subject to availability. To guarantee a reservation, a valid credit card is required at time of booking. If a credit card is not available, you reservation will only be held for a minimal time period. Child Below 5 years of age without extra bed sharing room with parents can use Free Meal plan and no additional charges. Child above 5 to 11 years sharing with parents without extra bed, only AED 20/- for Breakfast and AED 25/- for Lunch (or) Dinner. 12 years old and above as per adult cost as extra person/extra bed. 0 – 5 years – Free of charge, sharing existing bed with parents. FIT bookings will be 48 hrs. Prior to arrival date and Group bookings a week prior to arrival date, In the event that the reservation is cancelled after the cancellation policy or in case of No-Show one night will be charged. For Group cancellation subject to mutually agreed date otherwise full charges applicable. Fortune Plaza Hotel accepts all major credit cards apart from cash. In the case that a guest’s room is to be paid by another party’s credit card that will not be attending the hotel. A pre-authorization form is required to be filled out by the credit card holder allowing Fortune Plaza Hotel to use the credit card for the specified charges. The hotel reservation will be able to email or fax the form to be filled out at your request. The hotel only accepts original passport or Emirates ID for the check-in process.